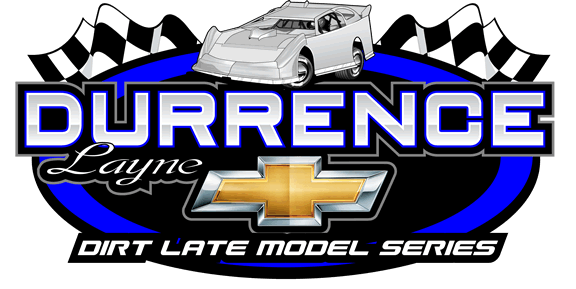 ADAIRSVILLE, GA – Heavy rain has postponed the Rumble On The Gumbo for the Durrence Layne Chevrolet Dirt Late Model Series this Friday night and Saturday night at Greenville Speedway in Greenville, MS. Track and series officials are working to reschedule the $2,000-to-win 40-lap race and the $2,500-to-win 50-lap race on a weekend that works best for everyone. 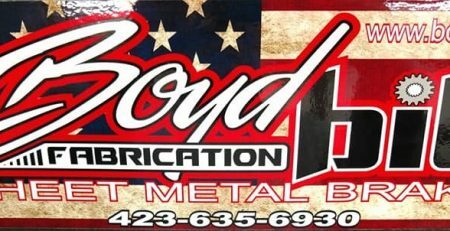 Track officials said heavy thundershowers this morning have left the track unworkable to properly prepare it for the two-day show. 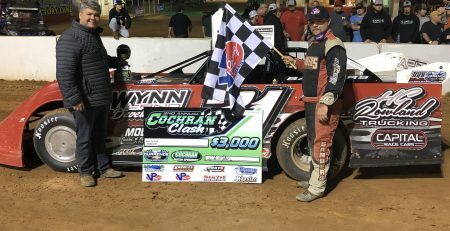 More rain is forecast for this weekend, so officials have decided to look for another date later this spring. 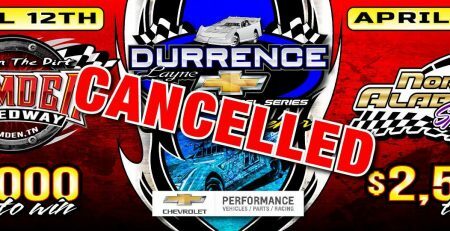 The rescheduled date for the Rumble On The Gumbo is expected in the next few days. 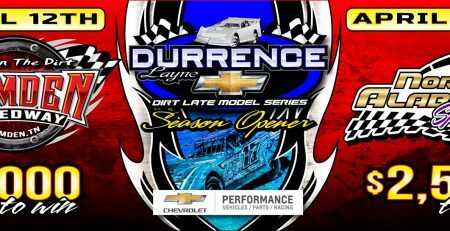 The 2019 Durrence Layne Chevrolet Dirt Late Model Series season opener will now move to April 12 at Camden Speedway in Camden, TN for a $2,000-to-win, 40-lap main event. 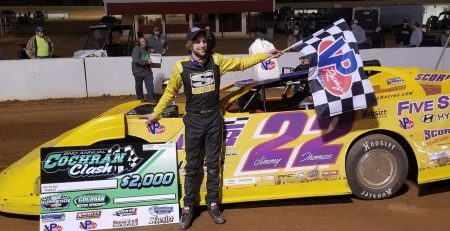 Round 2 of the 2019 season is scheduled for North Alabama Speedway in Tuscumbia, AL for a $2,500-to-win 50-lap race.